At $129, is the Z380CX the best budget 8-inch Android tablet for the price? In the US right now, the ZenPad 8.0 (Z380CX) is available for $129. The other two 8-inch ZenPad tablets sell for $199 and $299. Given the hardware on the basic Z380CX, how does it stack up against other similar 8-inch tablets? Let’s take a closer look. First, let’s clarify the 2 versions of the Z380 that are on the market. First, the Z380C is listed at a retail price of $149 and the Z380CX is listed at a retail price of $129. We are uncertain of the reasoning, but it does appear that Asus first launched the Z380C in North America, but has since replaced it with the cheaper Z380CX. The difference between these two versions comes down to the cameras and RAM. It’s strange to say this, but the $129 model has 2GB and the $149 model has 1GB RAM. The Z380CX has very low rated cameras, and this to a large extend explains the price difference. When we’ve combed over the specs and differences, the only spec we spotted as a downgrade on the Z380CX was with the front and rear camera megapixel rating. So all things considered, the X380CX is the best option to buy. It has the custom cases and has 2GB of RAM which is going to provide better value overall than slightly better megapixels on your front and rear cameras. We are not certain also the availability of the Z380CX model, so you need to check your country and the model availability. So how is $129 against the competition? Surprisingly, it’s good but it’s not the greatest. At this price point you’re going to find some slightly dated tablets in the 8-inch size that are right in there on sale for around the same price. Lenovo and Samsung in particular have competing models at this size and price point, but those tablets lack the customization of the Z380CX. The 2GB of RAM in the Z380CX is not what you see in competing tablets and those have 1GB of RAM pretty much in every comparison we looked at. There is always something to be said for the latest technology. If you see a brand name 8-inch tablet for $110 to $130, consider the year of the release and the version of Android that is available to upgrade to. 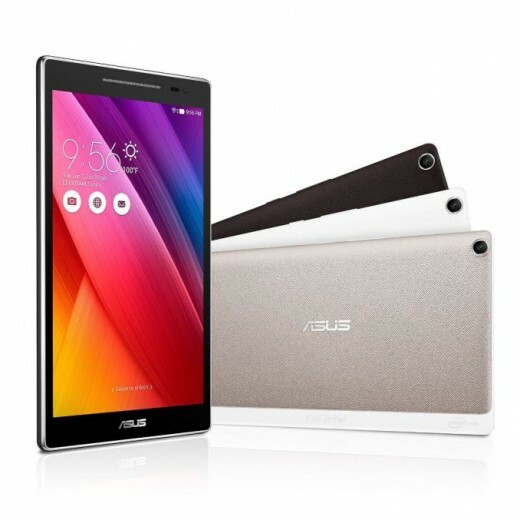 The ZenPad Z380CX has the newest Android OS which does add some extra value to the comparison. You can find better cameras on competing 8-inch Android tablets, but as mentioned, it’s give and take. More RAM with worse cameras or less RAM but better cameras. If you’re not into the ZenPad S 8.0 price range, then $129 for the 8-inch Z380CX is worth looking at. Considering you have the ability to use the Audio Cover and Power Case, those are impressive accessories. Tablets release a year or more ago simply have previous generation components and getting the new technology add value to your purchase. No question it’s competitive in the marketplace for the $120 to $130 Android tablets. Good luck!